C-Tran's proposed bus rapid transit project would provide opportunities for economic revitalization by connecting neighboring cities. Photo via C-Tran. The board of directors of C-Tran, the transit agency that serves Clark County in Vancouver, Wash., voted to add a ballot measure for a 0.1 percent sales tax increase to fund the proposed bus rapid transit (BRT) project, the Oregon Live reports. The ballot measure will be up for voting either in the upcoming August or November 2012 elections. However, it’s not clear who in Clark County will be able to vote on the measure. But Vancouver Mayor Tim Leavitt suggests pausing on the subdistrict idea until the district voters decide on core bus funding in the November vote. “We’ll have a better idea then of what kind of support we’re going to have in our community for public transit,” Leavitt said. C-Tran’s BRT Project is still in its early planning and development stages. The project, known as “the Fourth Plain BRT,” is mainly an effort to improve economic development opportunities along the proposed corridor and connections to and from neighborhoods and job centers. The project is less about traffic congestion and more about addressing slow bus speeds, poorly managed passenger vehicle access, inadequate bike and pedestrian facilities, and economic revitalization, according to the project’s website. The BRT proposal comes at a time when the C-Tran district projects a 30 percent to 40 percent population and employment increase in the corridor by 2030, which would also cause an increase in traffic in the next 20 years. Accordingly, the project forecasts an increase in transit ridership and transit run times, which ultimately would degrade transit performance and schedule. Based on the projected statistics and the unique needs of Clark County, the Southwest Washington Regional Transportation Council (RTC) completed a two-year Clark County High Capacity Transit (HCT) System Study and recommended the BRT as a preferred solution to serve the transit needs of the county and connect its residents to nearby Portland, Oregon. The BRT was concluded as the best solution based on cost effectiveness, ridership and potential environmental impacts, the project’s website explains. 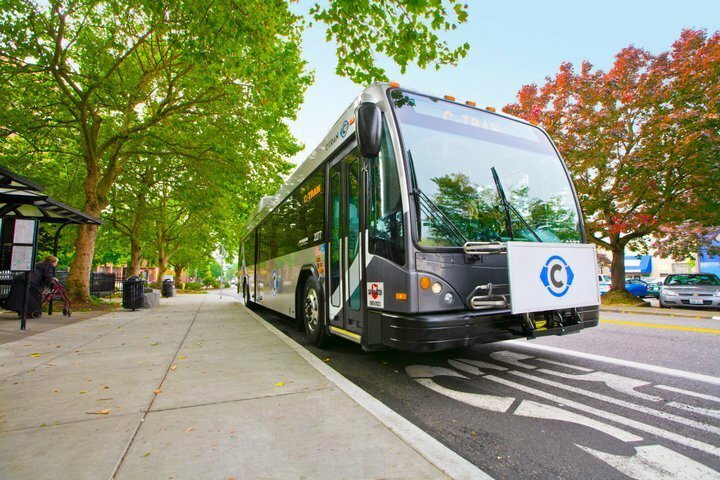 In an effort to further investigate the feasibility of the BRT, C-Tran hired Parsons Brinckerhoff, an international infrastructure development and operations firm, in a $1.5 million project to study and advise on alternatives leading up to the funding vote, Oregon Live reports. Chuck Green, C-Tran’s BRT project manager, explains that the firm’s study could provide information on how to make traditional bus service more efficient, which would be worth the cost even if C-Tran chooses not to pursue the BRT. The early estimates expect the BRT project to cost $2.1 million, of which 80 percent will be paid by a Federal Transit Administration grant. C-Tran will be responsible for the remainder of the cost.